Managed Team : DreamzTech Solutions Inc. Does managing requirements and your team consume a lot of your time? Dreamztech helps you stay focused on the core functionalities of your project. With a Managed Team, you won’t have to worry about investing time and effort in the requirements handling and team management. Dreamztech ensures that the Managed Team that you chose, takes control of the most time-consuming tasks and enhances productivity. You get to exercise full control over the team while they get things done on a prearranged schedule. Do you have a shortage of in-house staff? With Dreamztech, you won’t have to worry about a workforce to start the PoC or MVP development project. Do you need IT support? We know that your business needs both core product support as well as new product development. We offer end-to- end services. Do you want to save yourself from the tedious process of hiring? Dreamztech ensures that you can ramp up your team as quickly as needed. We manage the hiring and other HR related processes for you. Increased delivery process efficiency with Continuous Integration and Build Automation by development team. KSW focused on delivering their product while Dreamztech was managing and improving both the team and individual performance. The prime client Airbus & his system users enjoy the Customized ERP Solution and redesigned portal, while the Manage Team maintains the system an adds new features. We offer you quotes for various engagement models. 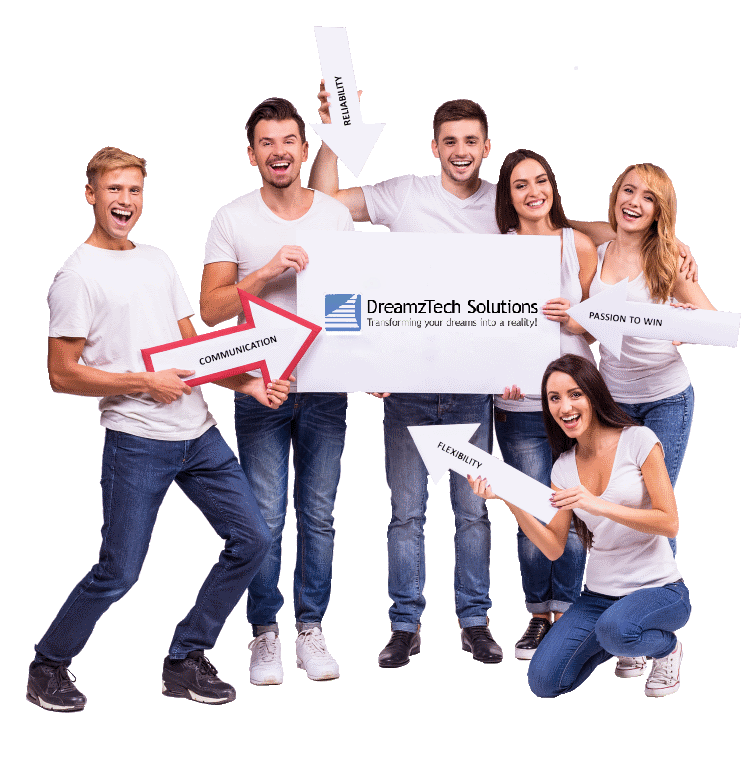 You choose the one that fits your needs the best and cherry pick your future team members onshore, nearshore and offshore. The Managed Team selected by you, starts working on your project as soon as hired. You get the privilege of deciding on the scope and changing your requirements throughout the process. Managed Teams let you ramp up quickly while minimizing costs. We manage time-consuming tasks including project and product management, handling the software team, and enhancing performance. A few of the great companies we have worked with.